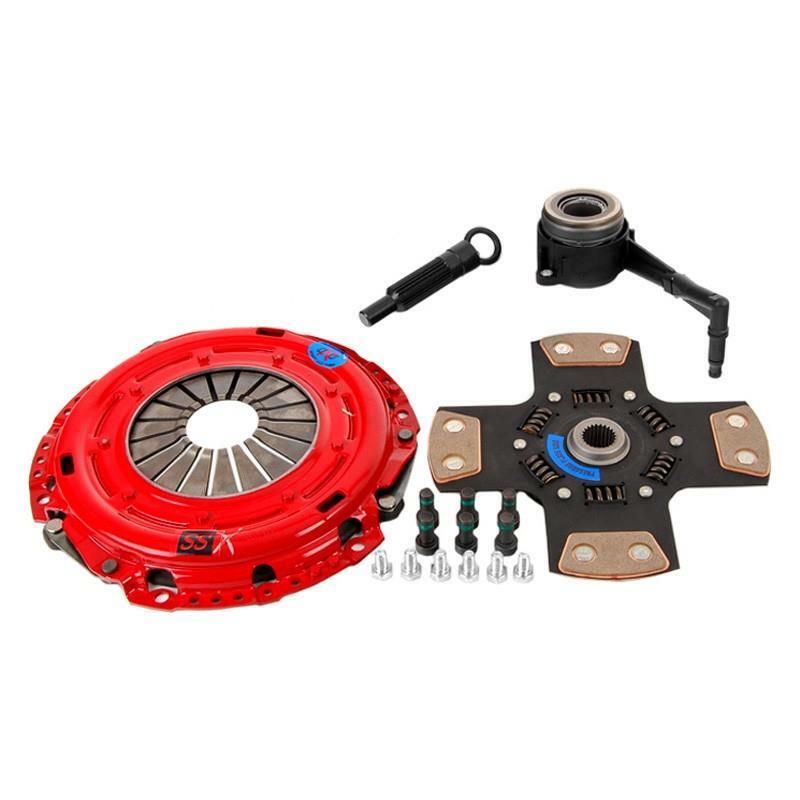 This is a “build to order” clutch kit intended for cars with HP modifications exceeding the stage 3 parameters. The Race Engineered pressure plate is modified for maximum plate load. The discs are puck design with sprung and un-sprung options. Friction material options include Sintered Iron and Graphite Impregnated Ceramic. Engagement characteristics can be abrupt. Hydraulic systems may need enhancing for proper clutch separation. Single mass steel SFI approved flywheels are required for safety. Torque ratings are calculated at time of ordering.